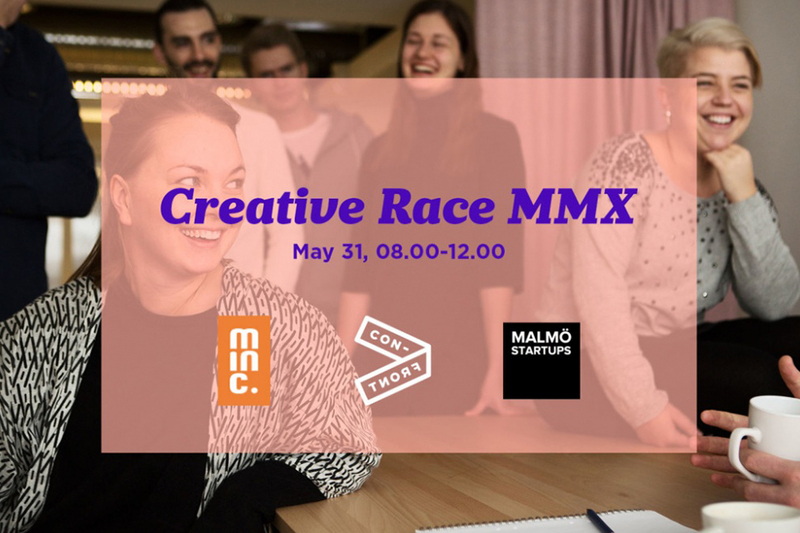 Creative Race MMX is a creative workshop where you get the chance to develop innovative digital concepts in smaller teams. The aim of the workshop is to solve real problems through idea generation and ends with a pitch to a jury. You may choose to work with one or more of the following focus areas: healthcare, education, food and security. This event is a workshop where participants get to idea generate innovative, digital solutions in small teams and pitch these to a jury. The workshop is held during four (4) hours and the aim is to get each team to come up with a concept that solve real welfare problems. At the end of the event, all teams will pitch their ideas to a jury, and get the chance to win tickets to CONFRONT – A Front-End conference taking place in Malmö, August 17. All teams get to choose one, or more, of the following topics for which they will create a digital solution: Healthcare, Education, Food and/or Security. The digital concepts should be something that favors Skåne as a region, and it’s welfare. The workshop does not require a presentation of a technical solution, but emphasizes the concept idea for a digital solution that can be further developed by the participants and discovered by the jury.